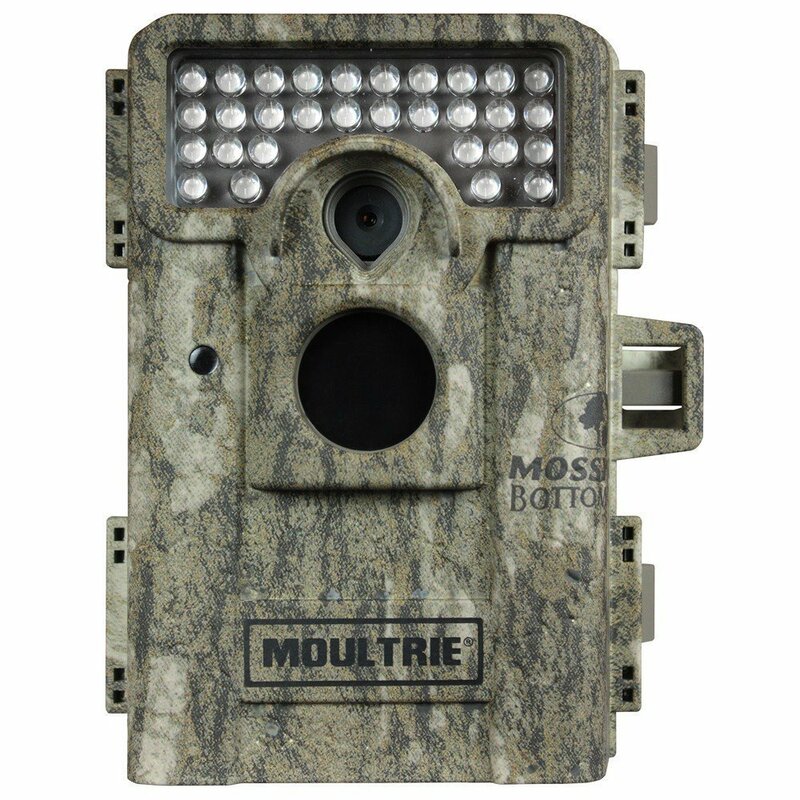 Priced very affordably, the Moultrie M-880 Game Camera is a versatile solution for monitoring deer and other wildlife without having to be physically present. The model that I am checking out here is the 2014 which follows hot on the heels of the popular 2013 version. It is still not as good as the Moultrie M-990i Game Camera, but the lower price might make it an appealing option to anyone on a tight budget. To see whether it is worth the savings though check out what I found when I put this game camera through its paces. When it comes to the design of the Moultrie M-880 I was impressed by how compact it is. 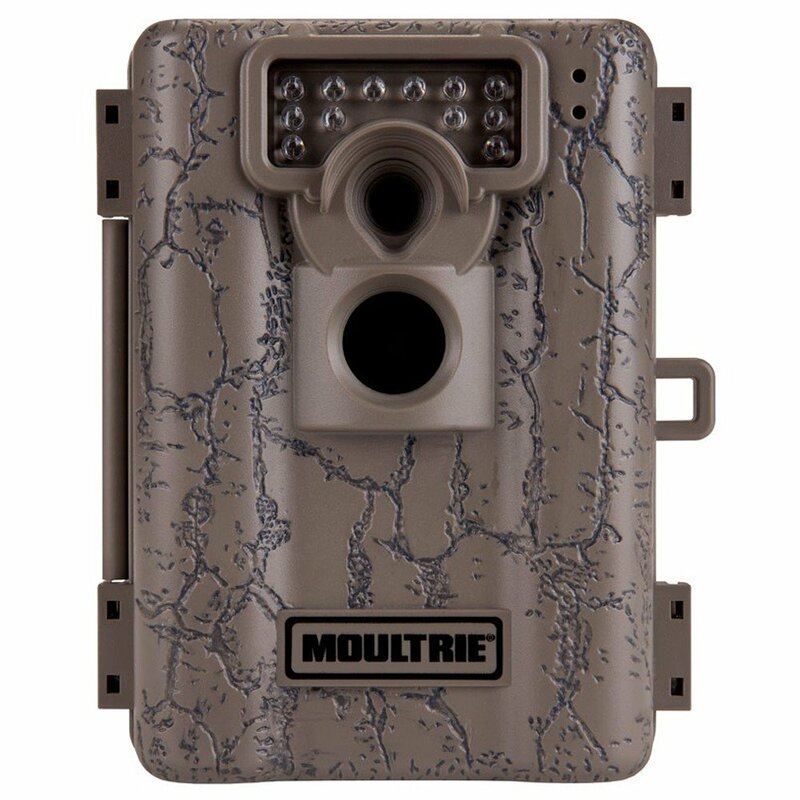 Larger game cameras tend to be quite visible even when they have camouflaged designs, but the Moultrie M-880 is small enough to easily blend in with the environment. It is packed in a sturdy weatherproof case and thanks to the Mossy Oak Bottomland Camouflage it fades into the background when placed in the woods. The Moultrie M-880 is designed to either be put up with a tripod thanks to the standard mounts on the back and bottom of the unit or strapped to a tree using the included mounting strap which is made from nylon. I was impressed to see that the tree strap featured a metal buckle which is usually omitted from cheaper game cameras. As the side of the case has a hasp that is compatible with a python lock you can be sure that nothing is going to crack it open and mess with your game camera either. Even without a lock the camera has an optional 5-digit code that you can set in order for anyone to operate it. The M-880 is powered by 8 AA Alkaline or Lithium batteries which according to Moultrie should be good for taking about 13, 500 images. Depending on the user settings and other environmental factors a new set of batteries will typically last for up to a year. Anyone requiring perpetual use with high-performance will be glad to know that the Moultrie M-880 is compatible with a 12V DC external power source. When it comes to storing those images the M-880 needs an SD memory card and it is compatible with ones up to 32GB in size. As this camera is compatible with the WiFi SD Cards from Eye-Fi it can transmit images via Wi-Fi and the Internet. By making use of “Managed Memory” you can set the camera to automatically overwrite older photos if the memory card is filled up before you get to it. When used in “Normal” mode recording will stop if the card is filled to capacity. Moultrie products are always easy to operate and the M-880 is no exception. The LCD screen is easy to read and thanks to the backlit buttons the camera can be operated even in relative darkness. When it comes to features the M-880 offers an aspect ratio of 16:9 and images of up to 8.0 Megapixels. While not as good as the 10.0 Megapixel camera on the M-990i it still allows for decent high definition images to be captured. The M-880 used Low Glow LED flash technology which is designed to be subtle, but powerful enough to capture photos and videos up to 100 feet away regardless of light conditions. The M-880 features three different operational modes depending on what you need it to do. In “Motion Detect” mode it uses its passive infrared motion sensor to take photos of anything within 50 feet that triggers it via heat and movement. The photo is taken in less than one second, but for high-traffic situations the camera can also be set to use motion detection delay to conserve battery life. In “Time-lapse” mode the PIR sensor is disabled and the camera is triggered via a countdown timer instead. With 13 different interval settings, ranging from 10 seconds to 24 hours, you have complete control over how many photos are taken. Finally there is the “Hybrid” mode which offers a combination of the other two modes. The camera still follows the timelapse settings you selected, but can still be triggered by the PIR motion sensor. For night time operation the camera uses 32 LEDS with motion freeze to reduce motion blur and extended flash if you would rather increase the flash distance. The M-880 also uses a high quality lens and has a 50-degree horizontal field of view. This camera is also able to capture HD video. Interestingly enough I have noticed that the picture quality appears to be worse in some cases compared to the 2013 model. Just looking at the list of pros it is clear to see that the Moultrie-M880 has a lot to offer. While I personally did not experience any issues with the model I tested I have seen reports from other users complaining about reliability. 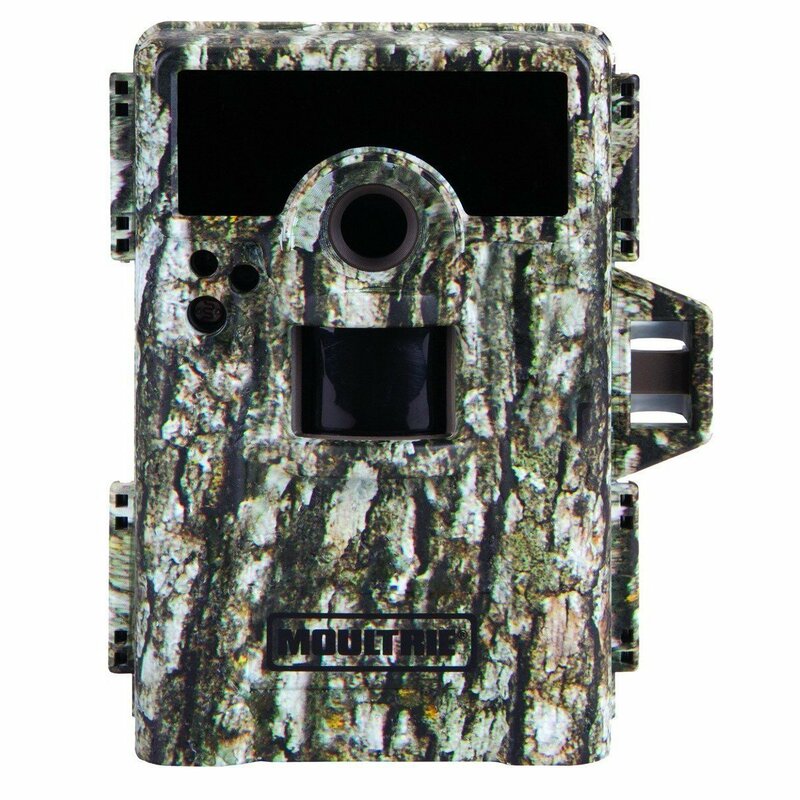 If you are looking for a game camera that is affordable and easy to operate then the Moultrie M-880 is a good choice. 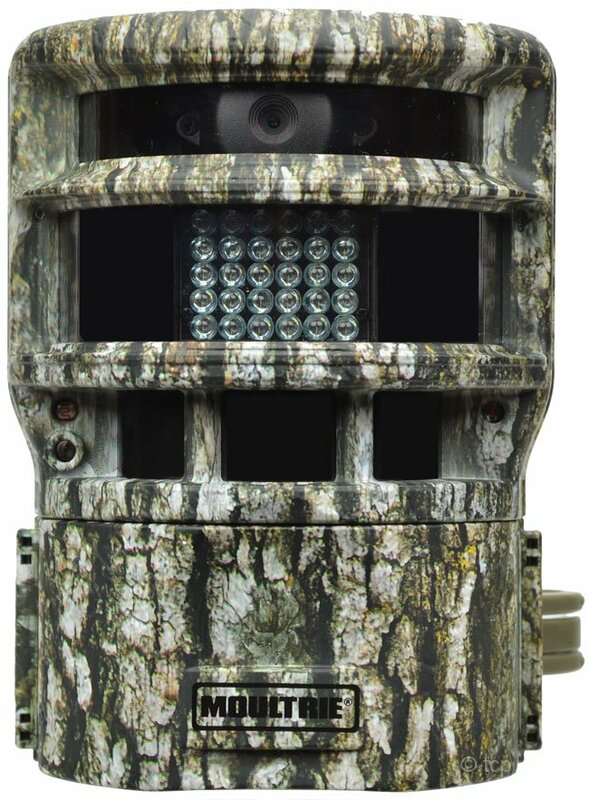 While not as good as the Moultrie M-990i No Glow Game Camera it does have a lower price tag which is great for anyone on a budget. The camera is easy to set up, even if you have no experience with game cameras and works well even with the default settings. 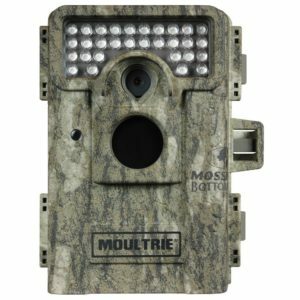 The Moultrie M-880 2014 is probably best suited for newcomers looking to buy an affordable and reliable game camera as it doesn’t have much more to offer to owners of the 2013 model. The reliability issues reported by some users is also a concern and it’s disappointing to see a decrease in photo quality under certain conditions.